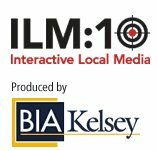 This week in Santa Clara CA, the BIA Kelsey group is putting on Interactive Local Media (ILM) 2010 conference. This conference is always well attended and provides a ton of great information about the local search market. Unfortunately I was not able to attend again this year. I would love to be there for the information, networking, friends, and hopefully warm weather. LOL It is cold in Georgia right now. Since I can’t be there and I know many of you can’t either, I am putting together this post with how we can follow all that is going on. 4. Mobile App: For the iphone and Android markets, you can download an app that provides some basics on the conference, just search for BIA Kelsey in the respective markets. I have downloaded the Android version. It is ok but I wish it could do more….take a look and let me know what you think. Over this week and probably next, I plan on blogging various aspects of the meeting from the information I get. So make sure to stop by and see what is going on in Santa Clara!